Well, not really LOL In 2010 I got bored with the trails at flag pole which was the traditional location for the event. We spent a couple of hours following someone down Forest roads looking for trails and I got little bored and needed a break from it. 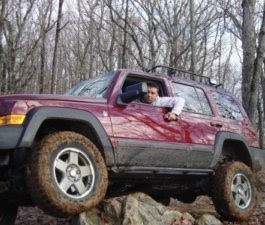 So I suggested Uwharrie for 2011 which I think was almost the smallest turnout for the event as well LOL. So not sure whats up with 2012 I'll go to flag pole again if thats where it's at but I'd like to hear from Don on the subject. Then it shall be done!